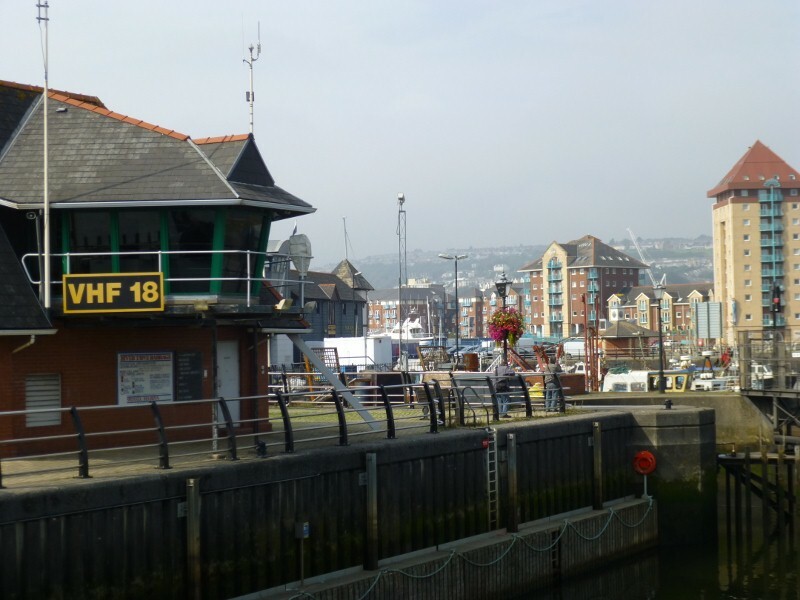 Swansea (Abertawe in Welsh) is situated at the mouth of the river Tawe in the former county of Glamorgan. It is a city and unitary authority. The M4 passes close by and the Great Western railway line from London Paddington comes into the city. The city provides easy access to the Gower peninsula, rural Carmarthenshire and the Brecon Beacons. Robinson (1971:361) notes that 'a settlement of some kind probably existed at Swansea before the first Norman conquest of the area, but the establishment of the borough was the work of the Norman invaders.' According to Caradoc of Llancarvan, Swansea Castle was built in 1099 by Henry Beaumont, otherwise known as Henry De Newburgh, Earl of Warwick, to defend territory conquered in Gower. The town was built to house an influx of Normans and Flemings, many of whom were also given land in Gower. 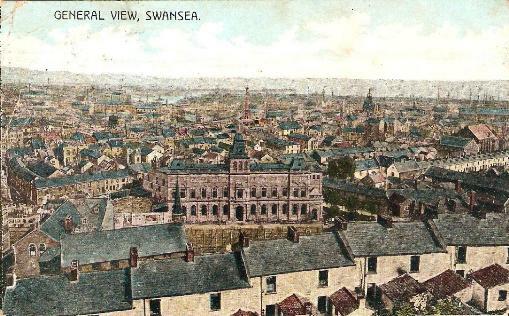 Because of its location Swansea became the principal town in the occupied territory of Gower. Harris (1934:16) states that 'The Flemings kept themselves entirely aloof from the Welsh, never learned the Welsh language, and though described by Geraldus Cambrensis as well versed in commerce and woollen manufacture were also described by him as a people brave and robust, anxious to seek gain by sea and land, in defiance of fatigue and danger, a hardy race, well fitted for the plough or the sword.' Also (1934:14): 'The division of the Seigniory into the Englishery and the Welshery, or as these divisions were and are usually referred to - Gower Anglicana and Gower Wallicana, is said to have been due to the Flemings, who settled in Gower, refusing to mix with the Welsh in law proceedings.' Compare this with Freeman's description of the Flemings in Pembrokeshire. Swansea was attacked by Gruffydd ap Rhys in 1116 (recorded in Brut y Tywysogyon) when the outer castle was burnt. By the end of the 12th century Gower had become a crown possession. Robinson oberves that: 'William de Londres was paid twenty marks for repairing Swansea castle, and the following year the crown paid for supplies of corn and pork delivered to the castle from the west of England.' In 1190 ships were hired to carry provisions to the castle and in 1192 Rhys ap Gruffydd besieged the castle for 10 weeks. The castle was strengthened in 1210 but was taken by the Welsh on several occasions in the early 13th century and destroyed by Llywelyn ab Gruffydd. However, he gave it to John de Braose, encouraging him to rebuild the castle. Despite two further burnings in 1257 and 1287 the town prospered as a trading centre but friction increased between the inhabitants and the marcher lords. In 1306 royal pressure forced William de Braose to 'grant two extensive charters of liberties, one to the burgesses of Swansea and the other to the English and Welsh freemen of the Englishry of Gower (Robinson: 1971:366). Robinson notes that the majority of the burgage tenants listed in 1400 (over sixty) had English names. A mere eight tenants had unmistakably Welsh names although many of the others probably had Welsh parents or came from families resident in Wales for a long time. 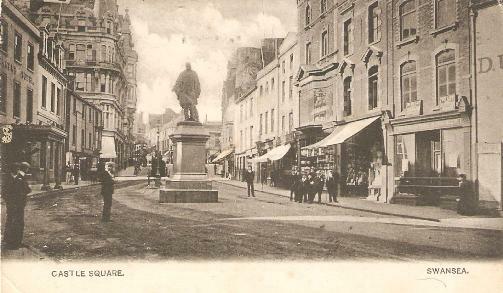 West Street, St Mary Street, High Street and Fisher Street were mentioned in 1400. Much of Gower was devastated again by Owain Glyndwr in the 15th century, along with the castle. The castle was rebuilt but was despoiled by Oliver Cromwell's forces in the suppression of largely Royalist South Wales. 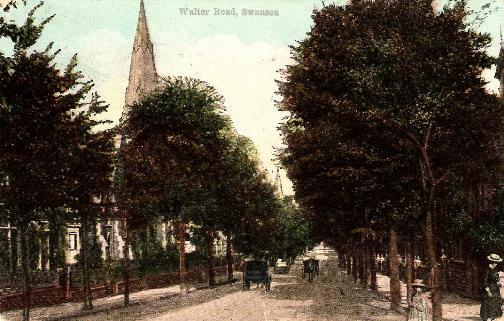 "The road from hence (Neath) to Swansea is very good, and not incommoded by the smoke of copper works, as it was formerly; but for horse or foot passengers, though more circuitous, there is a pleasant way by Briton Ferry. This village is much resorted to, on account of its beautiful situation ... Having crossed the ferry (presumably over the Neath River) we proceeded on the sands to Swansea. "The whole of the walk commanded a boundless view of the ocean to the west, whilst to the south the faint hues of the Somersetshire coast skirted the horizon. "The harbour of Swansea, which is large, has had great sums expended upon it, without much judgment having been evinced in the expenditure; the piers, which are extensive, are already frequently wanting considerable repairs, and will always be a source of emolument to those who know how to make the most of a grand job. 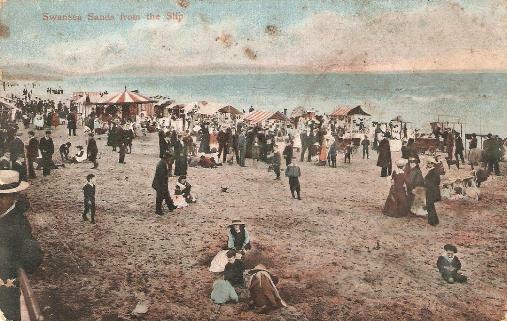 Swansea Bay is beautiful, and the sail from Swansea to Ilfracombe, one of the pleasantest and cheapest I ever enjoyed." Swansea's final period of destruction was in World War 2 when the German Luftwaffe devastated most of the centre. The city has been rebuilt and is continuing to be redeveloped in an attempt to regain some character. The thriving waterfront area, encompassing the vast docks, is possibly the most attractive aspect, Conversely, the City Council is struggling to turn the centre into a coherent and viable area, having lost the David Evans department store and the newly-invigorated shopping competition from Cardiff. Robinson, W.R.B. (1971) 'Medieval Swansea' in Glamorgan County History, Vol 3, The Middle Ages, edited by T.B. Hughes, University of Wales Press. Harris, Edward (1934) 'Swansea', Western Mail & Echo Limited.